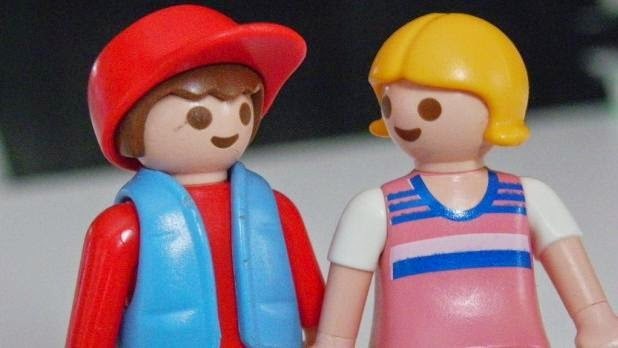 Britain’s Daily Telegraph has carried a feature on how Malta has populated the world with little people – 2.7 billion little plastic people produced by Playmobil since 1974. Writer Harry Wallop went behind the scenes in the ‘people factory’ in Hal Far. Times of Malta 27/04/2014: “Forty years ago, the world was in crisis. Banks were collapsing, a US president resigned in disgrace, the price of oil had quadrupled. In that first year, he wrote, there were just three men: a construction worker in stripy bib (no sign of high-vis jackets in those days), a knight with a silver helmet and an American Indian with a feather in his hair. Since then 3,995 different designs have come off the production lines in a slightly scruffy factory, along the road from the airport. German toy company Brandstatter asked chief designer Hans Beck to come up with a toy that used less plastic than other toys the company was making, otherwise the firm would go bust. The result was a little man, made to fit into the palm of ...read on.